Editor's Note: This series is designed to give you heads up on healthy living and graceful aging. What types of exercises are most effective? According to new research, "a one-two punch of aerobic activity plus resistance training may have the greatest impact" on your physical fitness. This is the best for cardiovascular endurance. Aerobic (as opposed to anaerobic) means you tend to breathe harder and faster during exercise, sucking in more air and thus the vital oxygen needed for the exercising muscles. Along with that, the heart rate increases pumping more oxygen-carrying blood to the tissues. In turn, this makes your heart stronger, which helps you to cope with the multiple daily tasks such as walking, climbing stairs, household work, lifting, gardening, etc. Called "aerobic fitness," these activities improve cardiovascular endurance. What are some of the aerobic routines? The ideal one is what you are likely to do on a regular basis. There are many choices. How hard you want to train (the level of intensity - light, moderate or high) is entirely up to you, factoring in your age, current physical status, presence of disabilities like heart disease or arthritis, your goals, etc. Activities such as shopping, gardening and lawn mowing also count. Recently, I talked with Jackie Canella of Gold's Gym (a popular spot for exercise and fitness enthusiasts in Hernando County). She said: "Everybody can start with regular walking and then move on to brisk walking, power walking, treadmill exercise (especially for busy guys who have only 20-30 minutes to spare daily) etc. Jogging, running, swimming, cycling, elliptical machine workouts, step and dance or step climbing, etc., are other options. Zumba, a dance aerobic routine, is often preferred by ladies." I installed a treadmill in my living room in front of the TV so I can get my workout while watching CNN and soak up news in the morning. Now, I also have a cardio cruiser too, which is similar to a stationary bicycle and rowing machine in one, so you can work your upper and lower extremities, without weight bearing. A more sophisticated version is the Nu Step Cross Trainer, which is quite popular with our older patients participating in the hospital rehab program. Check with a trainer at the gym for details. If you are aggressive and want to improve your overall fitness by combining aerobics drills, punching and kicking, then kickboxing may be in your alley. A type of martial arts, it is an exciting way of getting in shape, especially for younger people. There is even a cardio kickboxing routine. Make sure you sign up with an instructor before you join any of these high-intensity workouts. And always start out slowly, give enough time to warm up the body and work at your own pace. Resistance training helps to create a firm and toned body and a good physique and improves the lung capacity. It includes stretching and resistance exercises. There are many stretching exercises; each one is geared to improve the flexibility of certain groups of muscles, such as neck and arm stretches, back stretches, etc. These stretching sequences should ideally be monitored, at first for sure, by a good trainer. Yoga is great for this purpose. You can start with simple dumb bells or bar bells, elastic bands (thera bands), weighted wands, etc. Upper body ergometer (often called the grinder), in which you use your hands to do the workout, is good, especially for those with leg problems. If you are ambitious, move on to more challenging ones such as wall pulleys with incremental weights, bench pressing or weight lifting. Again, do it under the supervision of a trainer initially and avoid getting hurt by pursuing too aggressive a program. 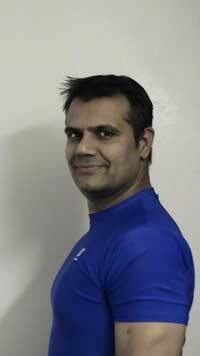 At the end of every heavy workout, replenish your body as soon as possible, ideally within 10-30 minutes with a lot of fluids and a good diet containing carbohydrates and plenty of proteins to replace the depleted glycogen in the liver and proteins in the muscles. Olympian Billy Demong says: "Eating within 30 minutes of a hard or prolonged workout is critical in recovery for the exhausted muscles." Some advise eating even sooner. More about the physical activity guidelines in the next issue. 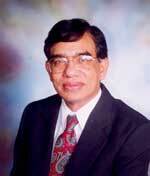 Cardiologist Dr. M. P. Ravindra Nathan, director of Hernando Heart Clinic in Brooksville, lives in Brooksville. Pregnancy is a critical time for women. They don't just have to care about their body and health but they have to nurture new life. Appropriate exercise and diet helps women to balance rapid physical and emotional changes. In addition to keeping fit and healthy now, regular activity during pregnancy also helps improve your ability to cope with the rigors of labor. And after a baby is born, it is easier for a pregnant woman to get back in shape if she has been staying fit all along.
" Reduces backaches, constipation, bloating and swelling.
" Increases energy and stamina.
" Lifts your spirits and balances your mood.
" Helps build better muscle tone and strength.
" Gives a sense of control and self-confidence.
" Provides with time to do something for oneself.
" Offers the opportunity to do some socializing -- a pregnancy exercise class is a great way to befriend other pregnant women. Pregnant women must not follow a vigorous exercise routine. All they need to do is the simple stretching and aerobic exercise, which helps to stay flexible and active.
" Neck rotation: Relax your neck and shoulders. Drop your head forward. Slowly rotate your head to your right shoulder, back to the middle, and over the left shoulder. Complete four slow rotations in each direction.
" Shoulder rotation: Bring your shoulders forward and then rotate them up toward your ears and then back down. Do four rotations in each direction.
" Thigh shift: Stand with one foot about two feet in front of the other, toes pointed in the same direction. Lean forward, supporting your weight on the forward thigh. Change sides and repeat. Do four on each side.
" Leg shake: Sit with your legs and feet extended. Move the legs up and down in a gentle shaking motion.
" Ankle rotation: Sit with legs extended and keep toes relaxed. Rotate your feet, making large circles. Use your whole foot and ankle. Rotate four times on the right and 4 times on the left.
" Tailor sit: Sit on the floor with knees bent and ankles crossed. Lean slightly forward, and keep the back straight but relaxed. Use this position whenever possible throughout the day.
" Tailor press: Sit on the floor with knees bent and the bottoms of your feet together. Grasp your ankles and pull your feet gently toward your body. Place hands under knees. Inhale. While pressing knees down against your hands, press your hands up against your knees (counter-pressure). Hold for a count of five.
" People with swimming pool at home must exercise in pool from 30 minutes to an hour a day. If you can't swim like me. Just walk in the pool, do lunges in the pool. There are some pool dumbbells and bars that are good equipment to have in pool.
" Light aerobic exercises: Walk, standing jog (you pretend you are jogging but you are not moving anywhere), pull-ups and pushups with help of trainer. There are many types of aerobic exercises that trainer can show you specifically to your conditions. You may join the aerobic classes especially for pregnant women. Be sure to consult with your doctor and fitness trainer since the precautions and exercises are different for each trimester.
" Breathing exercises, physical yoga and tai chi are good self-healing activities. It is better to be done in a group than individually.
" Back & neck massage: Massage will help you to relax through outer and inner stress. Also, therapeutic back and neck massage aid in relaxing the muscles that are stretches of contracted by rapid body change in women. Massage also helps women to sleep better, especially in second and third trimesters. Finally, the diet: Women only need to eat 600 more calories to provide enough food to their fetus. The extra 600 calories should contain vegetables, beans and fruits such as mango, apple, orange, grapes, watermelon - fruits that are high in natural sugar and vitamins. Also, have a good amount of dairy product. If you like cheese, then have cheese and jam sandwich in the morning or early afternoon but not at night. Drink 4 to 8 ounces of skim milk (hot or cold) at least three times a day. Make sure you drink water or natural juice constantly. One of the major issues I see is that woman gives up fluids because they have to go bathroom frequently but that is isn't a good move. Avoid soda, caffeine, nicotine, carbonated other drinks and alcohol. Fist and last, every pregnant woman should do is live in the present and enjoy every moment of their pregnancy experience. It is extremely important that they stay happy and stress free. There comes a time in every toddler's life when parents feel it is the right time to start potty training. Therefore, many parents come prepared with a slew of questions about the right time for their child and how to proceed so as not to instill a fear of toilet training. First, you have to assess whether your child is ready to toilet train or not. This is evident by the child demonstrating the ability to understand what pee-pee, poo-poo, potty or whatever term is used. The readiness is usually demonstrated at 15-18 months of age. Most children are ready by the time they are 2 years old to proceed to be completely trained and most children can be trained by the time they are 3 years old. A child has to be able to understand what the toilet is for, and this can be learned by watching older siblings or parents using the potty. Also, a child signifies readiness to train when he or she can tell the difference between a dry and wet diaper and shows interest in changing so they are dry. Many children actually are able to tell you when they are about to wet their diaper or when they have to stool as well. To help your child, read toilet-training books so they understand what they will have to do soon. Let them play with older children who are toilet trained so they see that it will be OK when they use the toilet. Teach them how the toilet works. Be positive and supportive of their trial and errors, and don't get frustrated, which they will be able to sense. The best way to start training your child is by praising them when they are able to tell you if they want to pee pee or poop. Do not scold or punish them if they hesitate; instead, be patient and try to make it fun. Buy a potty seat together and let the child know why you are doing it. Let them feel like they are in control by purchasing the seat, bringing it home and then experimenting with it. Let them sit on it with their clothes to get a feel of what it will be when they are ready. Praise them for doing it. Talk about a plan where action will entitle them to a reward such as stickers, or healthy treats such as raisins, crackers, etc. Practice first when you notice your child either saying pee pee or has signs they want to void or stool, and lead him to the potty. Encourage him to take his diaper off and sit on the potty. Try to make it comfortable by either holding a favorite stuffed animal, a toy or even reading their favorite book. If they are able to do it, praise and reward him appropriately. If it does not go as planned, reassure your child that it's OK and to try again next time. Your child may continue to have accidents during the day, which is perfectly normal. Let he or she know its OK and mommy or daddy is not mad, and that he/she will get it eventually. Once the child consistently uses the toilet, you can use pull-ups to encourage and give them a sense they are a big boy or girl. If your child refuses to train, stop training, until a few months later, or when they feel ready. 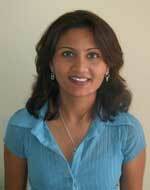 Dr. Payal Patel is a board-certified pediatrician at Sunshine Pediatrics, 18928 N. Dale Mabry Highway, Suite 102, Lutz. For information, call (813) 948-2679.